One of the problems with the bones material, is that the bright white plastic makes it hard to tell what you are looking at sometimes. This piece especially lacks detail. The first time I picked it up I had to look at the Kickstarter to figure out what it was. Despite its deeply problematic nature though, a couple painters achieved really fantastic results with it. Resin Terrain – Worldsmith miniatures is releasing some well priced resin terrain pieces. I may have to pick up a couple. I have spent the last week working, and so have spent zero time painting (or doing much pf anything really). By the time life calms down I will have worked almost 2 weeks straight. This makes the second bone I have not painted with the rest of you. 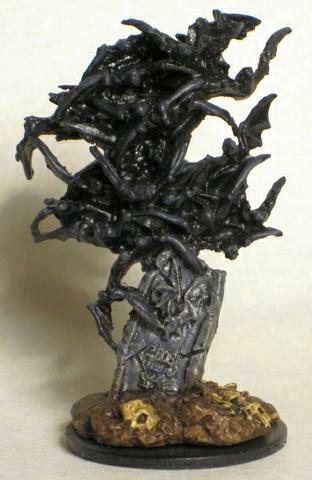 It’s a shame, because this mini looked either really fun or really horrible to paint. The reviews I received were mixed. Arjen mentioned his difficulties with the detail on these, but he did okay on that front. The best part of this paint job is the color variation from bat to bat. It really makes the whole piece look much better than in would have otherwise. Magnus went with a darker color scheme, but the high contrast base helps with that quite a bit. Tallghost also went with black bats in his paint job. 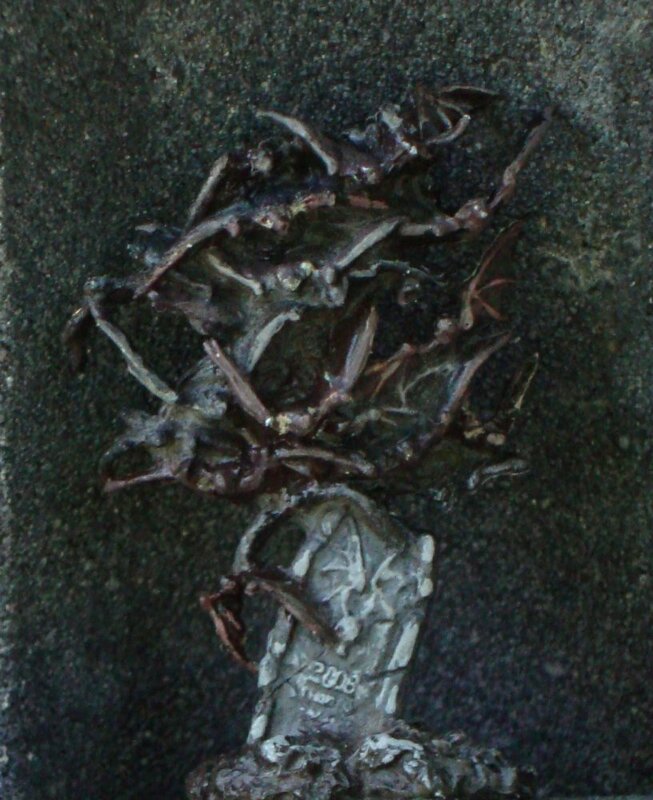 The tombstone looks great too, with just enough highlighting. Kylie must have needed a little extra time, but this much awesome is worth it! Likewise, Antonia also submitted a mini that is worth the wait. Outstanding work this week everyone! TBD – want to make a suggestion? This entry was posted by David Winchester. @David: I just sent you my belated entry, had to take new pictures, I hope you can put it in an upgrade. 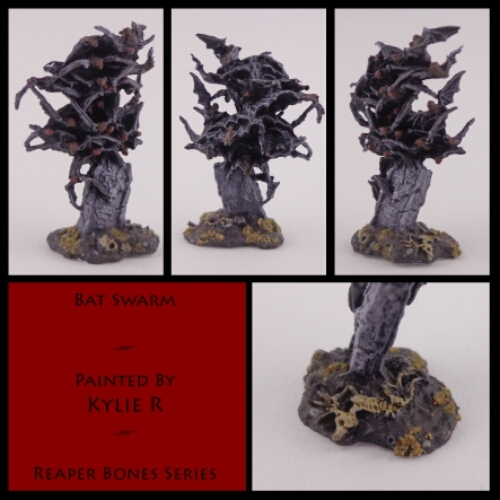 About the mini: As David said previously, bones minis tend to have less detail when very small, and I recall that with the bat swarm, too (I painted it in April already, where it served as background extra for Dirk’s necromancer). It’s a clump of small, smooth bodys, close to no surface structure. 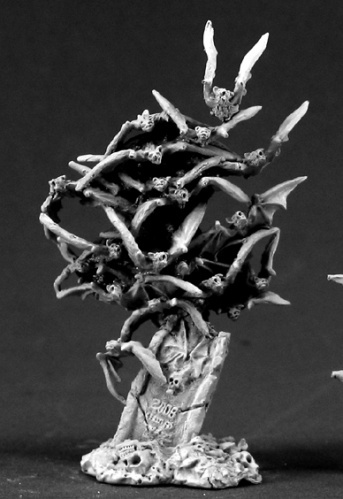 On the other hand I really like the overall silhouette of the swarm, like a moving “cloud” of featureless forms, which is kind of realistic if you think about it – in a real swarm of bats you wouln’t see each and every beastie individually either. So I like the dynamic of the sculpt itself, fortunately it didn’t transform well into bones material, I suppose – has anyone painted the metallic one for comparison perhaps? For mini suggestions: What about warrior women? I recall one or two more in the first bones set, perhaps even more – one maiden in sword and shield, one female paladin… I’ll check the catalogue and write down the names/numbers! Their are a couple others… but I didn’t want to go over-board! I am really keen to paint any of these, particularly the first 3 in the list above. I really like Arjen’s color scheme for her bats! There’s some nice differentiation there. 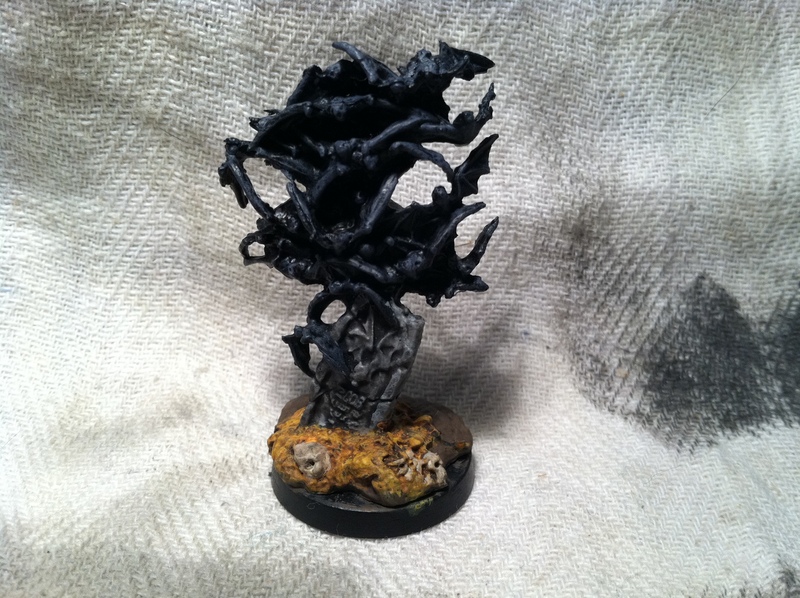 @Antonia: I think I may have the metal version of the Bat Swarm somewhere, but I haven’t painted it yet. I’ll try to find it and see how the details compare to the Bones version. 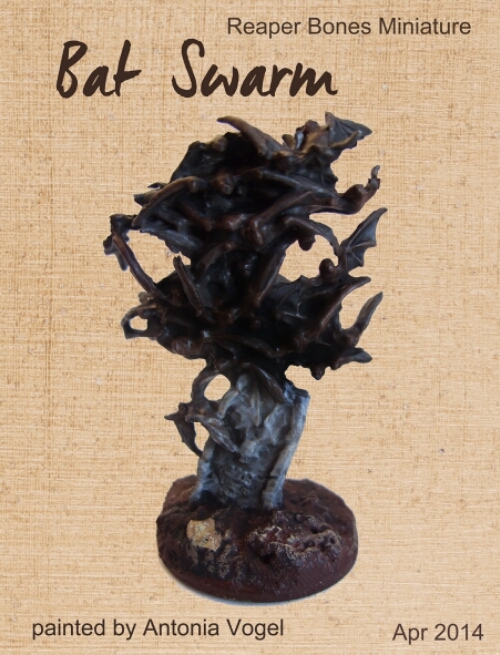 That said, I agree that a “swarm” mini isn’t so dependent on individual details as long as the overall effect is achieved. I’m going to add my +1 on Arjen’s colors. I got a lump in my throat just thinking about picking out details on that mass of bats. I salute you for your diligence. David – did you get my one? I will send it again just in case. Thanks for all the compliments. The hardest part was figuring out which wing belonged to which bat. For all those not familiar with Dutch names: am am a he. @David: Thanks for the updates, unfortunately I can’t see the new pictures. Do you see them (and it’s just my laptop’s problem) or did sth happen while uploading? Corrected – again! Sorry about that.